Bill Clinton will campaign for Nevada Senator Harry Reid…..Sharron Angle needs money…..And ditches the Tea Party stuff…. The ex-President trying to roll his successful pitch for Blanche Lincoln into some political capital for himself and the Democratic party will go to bat for the Senate Majority leader Reid….. Meanwhile, it does seem that Reid’s opponent, Sharron Angle, has erased all the Tea Party stuff on her campaign site….and is trying to make her way back the middle of the GOP and fundraise…..
Bill Clinton heads to Nevada next week to hold a campaign rally for Sen. Harry Reid (D-NV), the Las Vegas Review Journal reports. Until just a few days ago, you could find Sharron Angle’s policy positions on her campaign website — even ones as controversial as pulling the country out of the United Nations, privatizing Social Security and abolishing the Energy and Education departments. In the aftermath of the tea party favorite’s crushing win Tuesday night in Nevada’s Senate Republican primary, her website has been scrubbed. Now there’s just one page, with one message: Donate to defeat the entrenched Senate majority leader, Harry Reid, in November. Are Senate Republicans close to land yet another Top Senate Recruit? Congressional Quarterly as well as numerous News Outlets in Nevada claiming Lt. 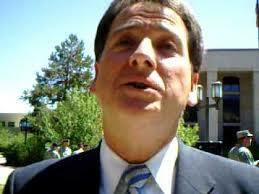 Governor Brian Krolicki (R) has scheduled a 3pm Conference Call where he will say if he runs for Reelection or Senate. What's this?……State Republicans tell national GOP: Keep out……..Success also brings trouble….. In both states, a field of candidates had already been going at it for months. And not only that, the current candidates have shown leads over wounded Sens. Harry Reid (D-Nev.) and Blanche Lincoln (D-Ark.). The potential new GOP candidates — Arkansas Rep. John Boozman and Nevada Lt. Gov. Brian Krolicki — are part of a recruiting surge that blossomed after Republican Scott Brown’s win in Massachusetts. Former Nevada Gov. Bob List (R) told The Hill that he plans to call NRSC Chairman John Cornyn (Texas) to register his dismay. List said the committee hasn’t consulted the people it should have in Nevada. Sue Lowden’s campaign, which until now appeared to be the closest thing to an establishment favorite in the Nevada primary, also had some strong words for the National Republican Senatorial Committee (NRSC) and Sen. John McCain (R-Ariz.), who has publicly encouraged Krolicki to join the race. “The NRSC didn’t recruit Sue Lowden, and no senator recruited her,” Lowden campaign manager Robert Uithoven said. Such statements have been boilerplate for outsider candidates from Florida to California to New Hampshire, where they have accused national Republicans of running interference. The GOP fields in Arkansas and Nevada appear to be headed down a similar road. Arkansas state Sen. Gilbert Baker (R) is the early favorite in his primary and has raised the most money. But he was forced to bat back rumors this week that he might run for the House rather than the Senate if Boozman gets in, as appeared likely Wednesday. A source close to Baker’s campaign said the NRSC needs to evaluate what Boozman’s entry would entail. Recruiting candidates has been a sticky situation for the NRSC ever since its support — perceived or actual — for certain candidates led to some ugly showdowns with conservatives. The committee has been tiptoeing gingerly around the process ever since. It insists it’s not picking sides with Krolicki or Boozman, but that hasn’t been the perception. A source close to Krolicki suggested, whatever the public pronouncements, the NRSC would like Krolicki to get in. NRSC spokesman Brian Walsh said the committee is leaving things up to the voters and not getting behind any one candidate. “Multiple Republican candidates in both races are capable of defeating them in November, and the NRSC is not endorsing in either of these races,” Walsh said. What’s this?……State Republicans tell national GOP: Keep out……..Success also brings trouble…..
Senate Majority Chair Reid will have to start going home more often……. The senator from Nevada is behind in the polls right now…..in the latest Mason-Dixon Poll, things go like this…… Sue Lowden (R) leads Reid (D), 51% to 41%, while Danny Tarkanian (R) leads 48% to 41%……I would think that he would want Tarkanian to beat Lowden….so he he can get a race against him….there are actually nine republicans running for a shot at his seat right now…. 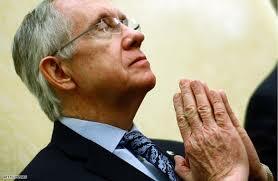 Reid’s favorable rating is just 38%….and he needs to work on that, for next year….. Politics 101…..All politics is local and never forget the one’s that sent you…….